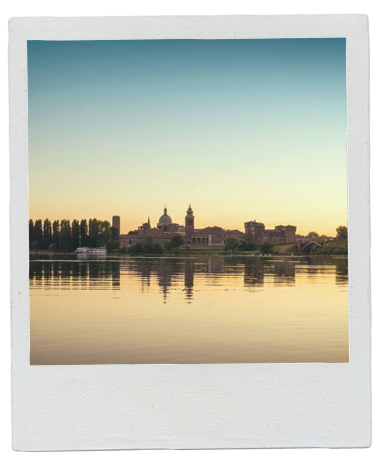 MANTUA: Anyone who has visited this land will know the sensation of absolute wonder and anticipation which steals over your senses as you gaze upon ancient Mantua cloaked in mist, reflected in the perfect mirror of the calm waters which surround it. For centuries, this corner of Italy has boasted a hugely rich culinary tradition: unique wines, fresh pasta, meat and fish dishes, preserved fruit mostarda, cheese and, naturally, excellent deli meats. Thanks to the nature of its landscape, southern Mantua has been a centre for livestock rearing for centuries. It is no coincidence, therefore, that one of the most ancient deli meat traditions developed around the waters surrounding the city of Mantua. First Etruscan, then Roman, then the illustrious seat of the House of Gonzaga, Mantua is, without doubt, one of Italy’s most beautiful cities. Rich in art, history and culture, Mantua is located in the Po Valley, on the banks of the River Mincio, at the particular point where its waters flow into a wide meander, forming a lake-like expanse, which surrounds the city. First Etruscan, then Roman, then the illustrious seat of the House of Gonzaga, Mantua is, without doubt, one of Italy’s most beautiful cities. A visitor may liken the city of Mantua to an aristocratic lady, brimming with traditions and anecdotes from the distant past: from the Ducal Palace with its 500 rooms frescoed and decorated by artists such as Giulio Romano, Raphael and Mantegna, to the vibrant atmosphere of Piazza delle Erbe; from Palazzo della Ragione to Palazzo Te, nestled in greenery and conceived by the Gonzaga as a place for leisure and amusement. Everything in Mantua seems to be a celebration of beauty, of the sublime. Religious sites of interest include the Cathedral and the Basilica di Sant’Andrea, which was designed by Leon Battista Alberti and houses artworks by Mantegna, Correggio and Giulio Romano. Just glance across the Mincio, towards the interminable expanse of southern Mantua… and you begin to understand that, as well as being beautiful, this land has always offered something more: a food and wine tradition based on the finest quality produce grown from the land. 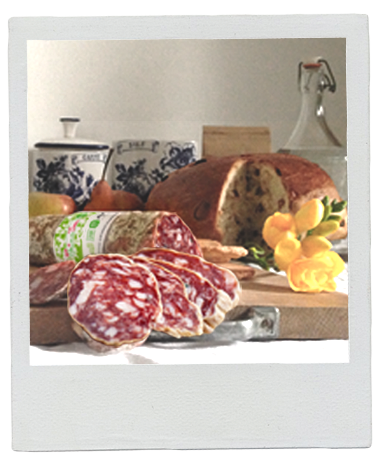 Quality is grown in the fields - even when it comes to deli meats! So it is… for beyond the shores of the Mincio extend luxuriously cultivated fields, and that is not all. This corner of Italy is populated with farms producing dairy products and traditional deli meats: the basis of a thriving culinary tradition of authentic delicacies. Equally, this cuisine is tied to the land through the area’s rich and varied rural traditions. Strongly influenced by the traditions of neighbouring Emilia, Mantua’s finest dishes naturally include fresh filled pasta, but also deli meats, fish-based dishes and risottos. In this land of rich and ancient culinary traditions, the invention of the specific art of deli-meat is probably even older, and was unique to Mantua for certain periods of time. It is no coincidence that various authentic varieties of deli meat take their name from the city of Mantua. It is no coincidence that various authentic varieties of deli meat take their name from the city of Mantua. 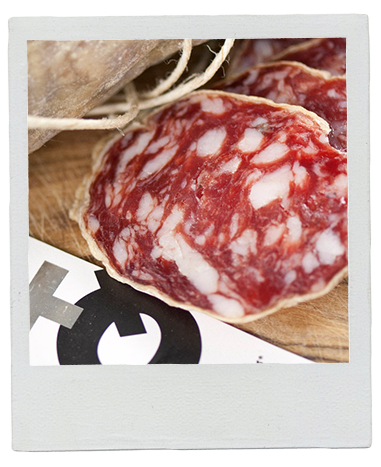 Salumificio Pedrazzoli was first founded in this region, where good food has always meant healthy food, growing into the quality brand which everyone recognises today. Our products are found the world over, and when we speak about them abroad, we are filled with immense pride in our vast heritage of history and tradition, and in this land which cannot fail to astound, whether you are visiting or merely sampling its culinary delights.